Coadjutor of Tripoli: "Migrants have a distorted vision of Europe instilled by traffickers"
In Tripoli "we live waiting, praying for peace"
Sirte (Agenzia Fides) - On Friday, October 6, the Libyan General Prosecutor officially confirmed the finding of the bodies of the 21 Egyptian Coptic Christians who were beheaded in 2015 by jihadists linked to the Islamic State (Daesh) in a coastal area in the city of Sirte. 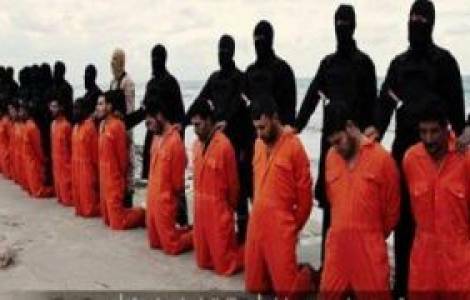 According to communication channels of the Egyptian public prosecutor's office, the bodies were found in a coastal area on the outskirts of the city, with their hands tied behind their backs and dressed in the same orange-colored suits they wore in the macabre video filmed by the executioners during their beheading. Even the heads were also found next to the bodies, and procedures are underway to identify the single victims of the massacre through DNA analysis.